When you move you need a company that is local and knows your area. Not only will this help with the speed of your move because drivers know the area and the short cuts to get you to your new location quicker. It is always nice to support a local business that takes pride in working in the area. When you plan a local move you have a few options to go about it. You either try and get your friends together and rent your own truck or you hire a professional moving company like us. There are benefits to both, one if you hire friends you can save some money on labor. And if you hire us we bring our professional services to the table and provide the truck and trained labor and you don’t have to lift a finger. But if you do hire friends there are more draw backs than you think. Sometimes as much as friends can be great on the day of the move some can flake on you leaving you with a truck and just yourself to move the stuff. Retuning the truck can be more expensive than you think, plus you have to worry about if it has insurance and if all the stuff will fit in the truck. And if it does not you might have to do 2 or 3 trips across town or even take the truck back to try and secure a bigger truck. So the hourly cost of the truck rental is going up and up as is the fuel costs. Friends can hurt themselves and you might be held responsible. Should one of your friends fall or injure themselves then you will be considered responsible. With lifting heavy objects and going up and down stairs if you have not got the correct equipment or experience you are asking for trouble. You will be expected to help them when they move and you might not have the time. Friends will call in that moving favor when they need to move and you will be obliged to help them as they helped you. But if you hire movers it’s your get out jail free card and you will not be obligated if asked to help. So we recommend at least calling our company to get a free moving quote and compare the prices to doing it yourself and having our company do the move for you. 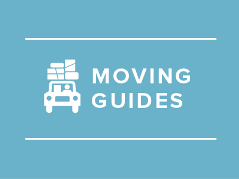 You will see the prices are pretty close and we have licensed movers, clean trucks and full materials to get the job done right. If you have any more questions please feel free to call us and we will be happy to assist you. We can even send out one of our team to give you a free in home estimate to take inventory of your possessions and plan the cost.